Line-X of Decatur, your one stop shop for all your vehicle customization needs. 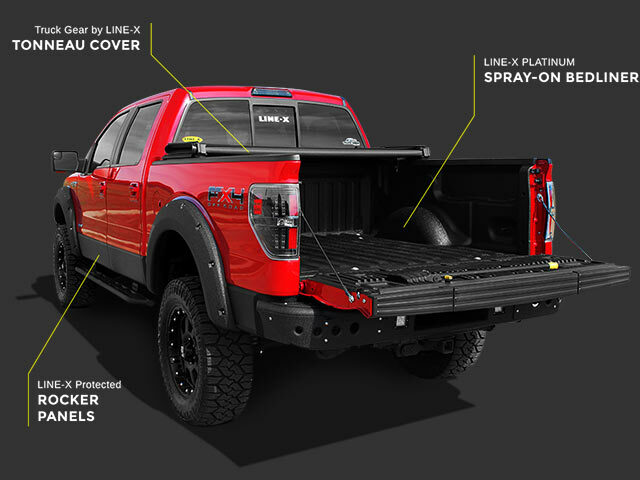 We offer a full line of truck and car accessories such as the following: Tonneau Covers, Step Bars, Rain Guards, Mud Guards, CD Players, full audio/video accessories, Window Tinting, Detailing, Paint Touch-Up, etc...and of course Spray-on Bedliners. Stop in today and speak with one of our representatives, we are here to serve you.